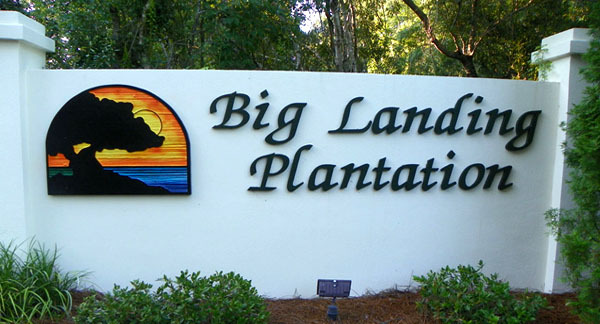 Just on this side of the North Carolina Border and Calabash, Big Landing is a new gated community full of luxury homes that will amaze. The development runs along the Intracoastal Waterway, and offers homes that sit directly on it, as well as offering views of "Mullet Creek" and marshlands. Homes are large and custom built, most with every upgrade you would expect in an exclusive neighborhood like Big Landing. Most are brick, and have been landscaped to blend into the pristine natural surroundings that are more private than most. 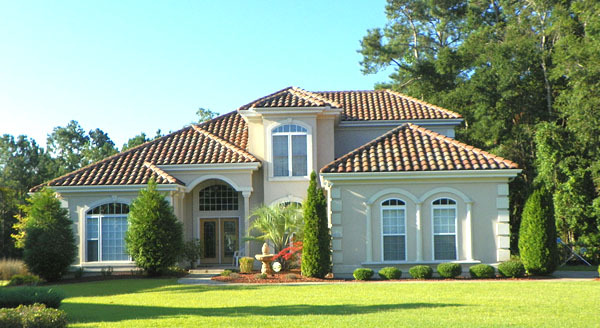 Prices range from $300,000 to over a million, depending on size and location to the Waterway. The community offers a clubhouse with a beautiful large pool, fishing pier, and has a floating day dock for boating convenience. There are many marinas in Little River as well as Calabash, and dry dock storage is never a problem. The waterfront in Calabash with all those marvelous seafood restaurants is very close, and there are fresh seafood stands there, as well as back south at the Little River Waterfront. This is an excellent location to enjoy what both states have to offer. Nearby is also one of the most popular 4 star Italian restaurants, Chianti South. Sunset and Ocean Isle Beach are both just minutes away. If you are looking for elegance and privacy, with the convenience of several NC beaches as well as North Myrtle Beach only a few miles away, don't miss these estate homes in this secure and private luxury community. Call us today for more information or to tour the available homes. Listing courtesy of Realty ONE Group Dockside , Mary Childress.